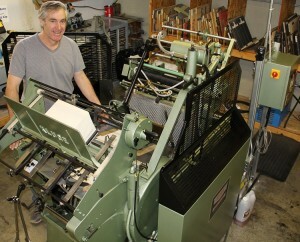 Bruce Nalband, Kluge Operator at Superior Printing, stands next to their recently installed Kluge EHD. Superior Printing Company, Atlanta, GA, has installed their third Kluge press as they continue to expand their print finishing capabilities. 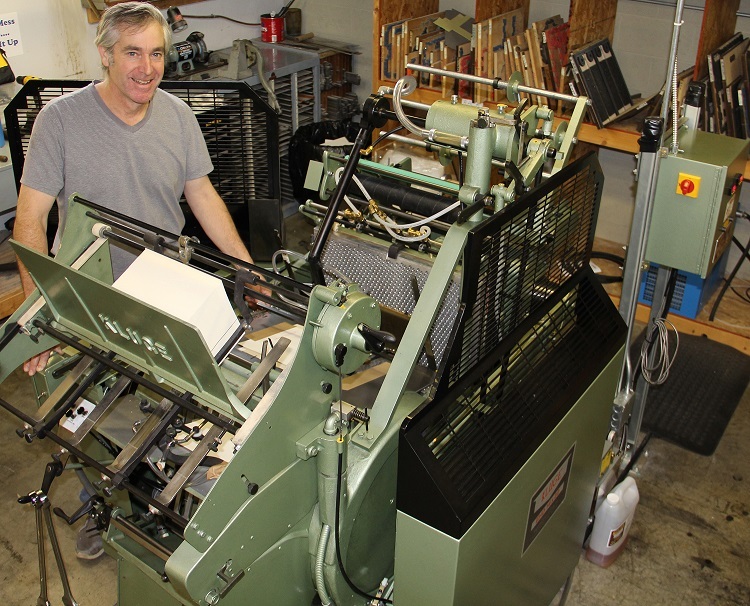 The newly installed press is a 14×22 Kluge EHD Foil Stamping, Embossing, and Die Cutting Press. The EHD series press will increase capacity while expanding Superior Printing’s ability to die cut and decorate larger sheet formats. Founded in 1937, Superior Printing started as a family owned commercial printing operation. They have advanced along with and watched the industry grow from letterpress, to offset, and into the digital world. Superior Printing has been a union proud company from their foundation, now employing 19 personnel. Being able to do all orders in house, from their design department to finishing, Superior Printing has been fulfilling and exceeding customer needs in the time frame they need it.